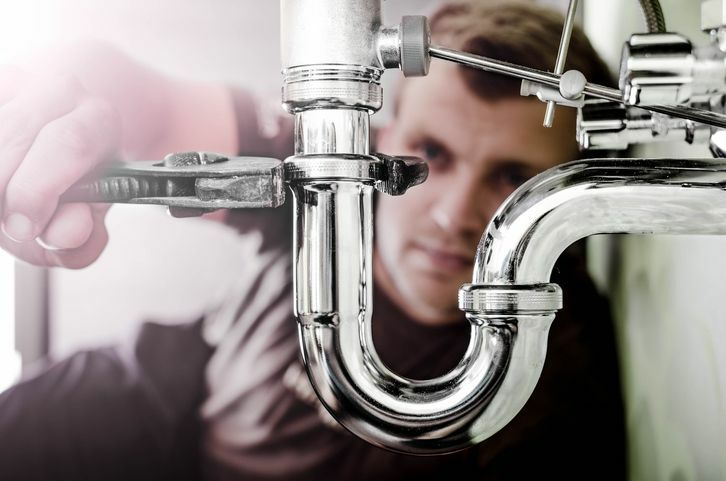 Plumbers face obvious dangers from dust, lead, chemicals, asbestos, silicosis, biting vermin, steam burns, poison ivy, sharps carrying blood-borne diseases, and animal diseases such as Leptospirosis or Parvovirus. Many of these ailments can be passed on to family and pets through exposure to infected clothes, vehicles, or skin. Plumbers can also be exposed to lesser-known dangers such as Giardia Lamblia, Cryptosporidium, or Legionella. Giardia Lamblia is contracted through contaminated food, soil, or water, and can be carried without the infected individual showing symptoms. Cryptosporidium is spread through water and can live outside a body for extended periods of time. This disease can be deadly to those with a compromised immune system. Spas, cooling towers, and decorative fountains can be hotbeds of Legionella, a disease that causes headaches, chills, muscle pain, and pneumonia. As a plumber, you should use all the tools available to you - masks, goggles, face shields, shoe covers, bodysuits, and insecticides to protect you and your family. Avoid bringing contaminated items home with you and wash your work clothes separately to further avoid any contamination. DO WANT A MICHIGAN PLUMBERS LICENSE? Plumbers Training Institute offers online Journeyman Exam Prep in an easy to use, HD video, and mobile-friendly format. This entry was posted in Plumbing and tagged Plumbing, Safety.